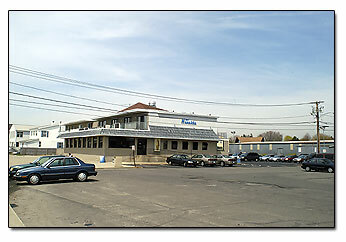 Marnick's Restaurant is family owned and operated, and has been in business since the 1930's. They have old pictures of the restaurant hanging on their walls. Their menu hosts a variety of breakfast, lunch and dinner items at a very reasonable charge. They have steaks, a variety of seafood, and Italian dishes for dinner. Their most popular item in the summer is their sugar cones, filled with soft frozen yogurt. Try a vanilla-peach swirl. 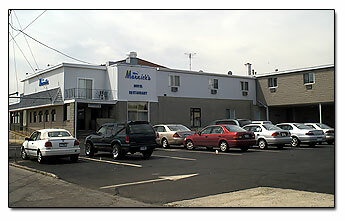 Marnick's Restaurant also has an addition of of a seaside motel. So you can stay at the motel and dine there too. A very cozy getaway. Phone 203-377-6288. When my relatives were coming to town during the summer, I called Marnick's Motel and asked for rates. He asked if I wanted an ocean view with a king-size bed it's $90 a night, or an off the ocean room for $65 a night. It's the same price off season. The last time we were at Marnick's, I saw they have a new sign out front that says Rodeway Inn. Across the street from Marnick's was The Beach Clam Shack. It closed and the building was razed, so now there is just an empty lot there.